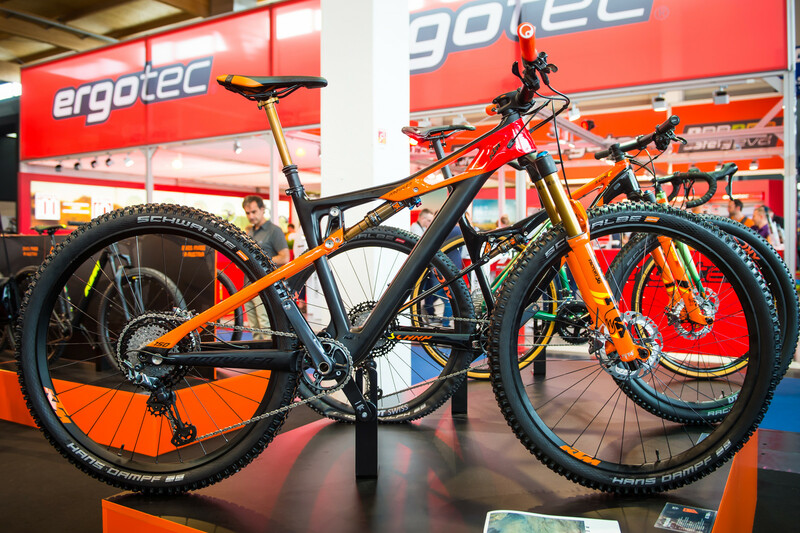 Capable and trick enduro 29er offerings from the Austrian brand. KTM showed us prototype versions of the Prowler enduro platform last year, but now the bike is actually ready for production and distribution. We are looking at a 29-inch bike with 150mm of travel in the rear delivered by a Horst-link rear triangle layout. The two top-end models feature a carbon frame while the two lower-end models are made from aluminum. A very trick internal cable routing goes through the downtube, exits the main triangle above the BB and reenters the chainstays just behind the main pivot. No word on whether it is fully guided or if routing might be a bit challenging. The Sonic 12 build featured here sports a FOX Float 36 Factory fork with a Float DPS EVOL Factory shock on a full Shimano XTR build with 4-piston brakes and a 1x12 transmission. There is a FOX Transfer Factory dropper post, DT Swiss rims, and Schwalbe tires. 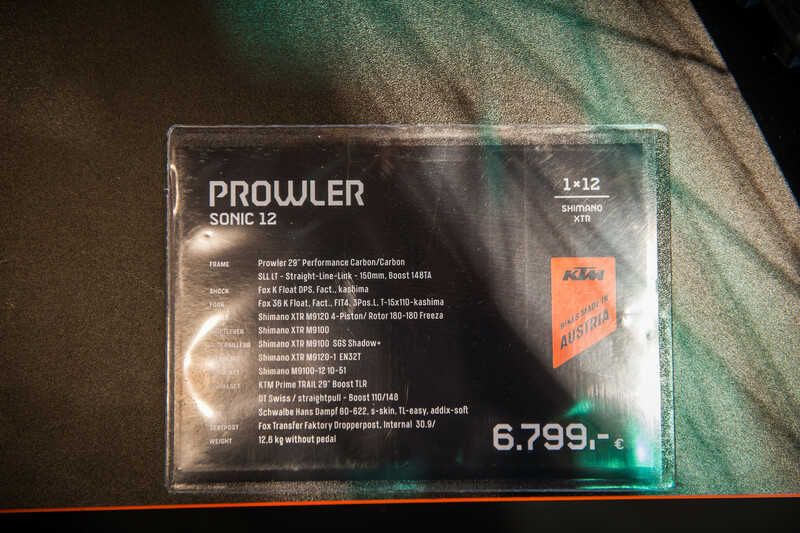 The Sonic 12 build weighs in at 12.6 kg (27.8 pounds) without pedals and will retail for 6,799 Euros. 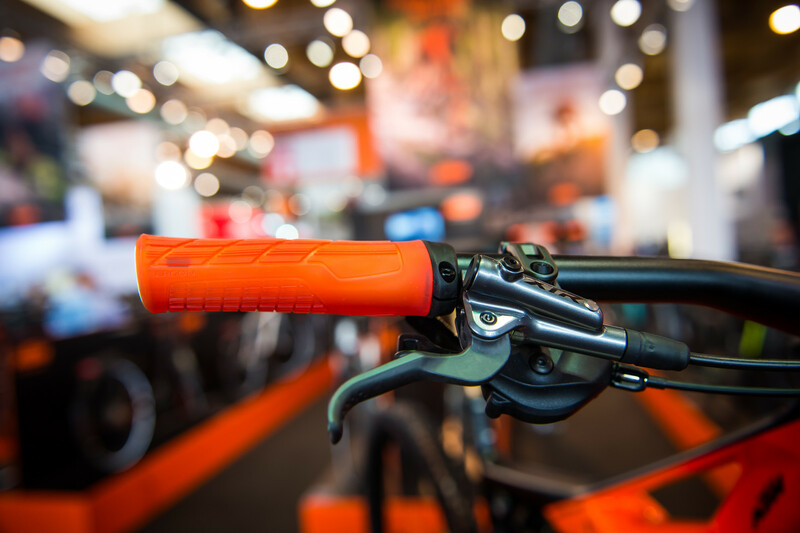 On the lower-end side of the spectrum, KTM has done a good job of translating the lines of the carbon bike to aluminum, including the intricate window in the top tube, which has all been pretty faithfully reproduced in the alloy offering. 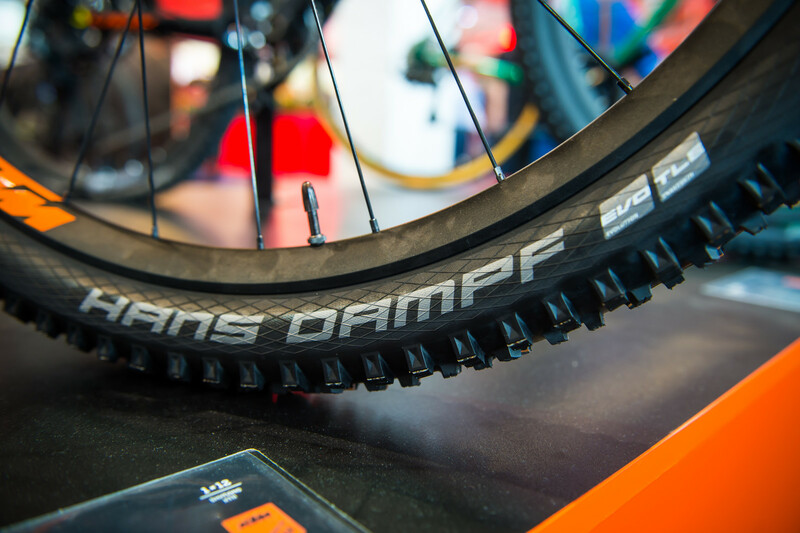 The 2,999 euro build with a black and orange frame, features a mix of Suntour and RockShox suspension components, a mix of Shimano and SRAM on braking and transmission, Schwalbe tires, and weighs in at 15.5 kg (34.2 pounds) without pedals. Certainly on the heavy side, but an otherwise capable-looking bike.